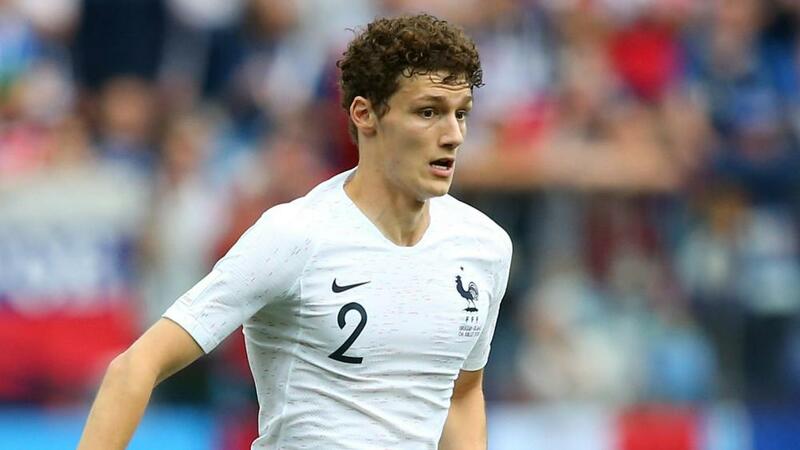 Benjamin Pavard's grounded nature and self-confidence were instrumental to his World Cup breakthrough, according to Didier Deschamps. Didier Deschamps has labelled Benjamin Pavard a new "star" as the defender's profile soars in the afterglow of France's triumphant World Cup campaign. Pavard, 22, exceeded expectations to start all but one match in Russia as Les Bleus were crowned champions for the second time. The Stuttgart defender, whose stunning strike in the last-16 win over Argentina was voted goal of the tournament, is now reportedly the target of interest from top clubs in England and Germany. Bayern Munich and Tottenham have both been strongly linked with the former Lille man and Deschamps says the recognition is richly deserved. "Despite their former status and some inexperience at this level, Benjamin Pavard and Lucas [Hernandez] were brilliant and stabilised the defence," the France coach told Kicker. "These two fighters made a big difference. Benjamin has become a star and he deserves it. "He's not so media-focused. He's very friendly, appreciated by his team-mates, and has an incredible amount of self-confidence. "He once said to me: 'I'm not afraid of anyone!' So I told him: 'You can think that, but never say it to the media.'" France return to competitive action in September with a trip to Munich for their opening UEFA Nations League fixture. Deschamps endorsed Germany's decision to retain Joachim Low despite the ignominy of a group-stage exit in Russia, revealing his "great appreciation" for the 2014 World Cup-winning coach. "It will be a great pleasure for me [to see Low]," he said. "Continuity is very important for national teams... [it's] better for the players and also the coach."